Get the Look! Summer is a great time for wearing happy colours, and this little beauty is definitely one of our happiest colour tones, we’ve created. This earring goes with nearly every Summer colour imaginable for today’s fashion. From whites to beiges, pinks, apricots, mauves, corals even blacks and turquoise. What we like about this So Sweet earring is it’s our most affordable earring in our online jewellery stores. You’ve read it correctly only $30. A lovely present for a Miss Julleen designer earring that’s made for our younger pearl lovers. 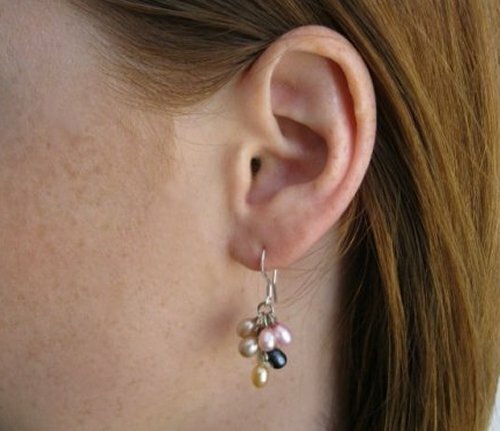 As with all cluster pearl earrings, give this one a little shake before you put it on – it’s the best way to get the look of fullness back into the desired pearl cluster.